We've just released the results of our benchmarks testing performances against Hadoop and Spark. 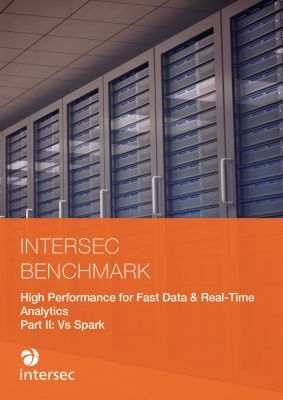 The combination of Intersec Fast Data solution with Red Hat Openstack NFV framework provides a solution with unmatched performance for both historical data analysis and real-time decisioning. Benchmarks run on different geomarketing usages show performance improved by an average of 100 times when compared to a classical Hadoop architecture. Intersec solution can also complement existing Hadoop applications, boosting their responsiveness by 30 times in average.